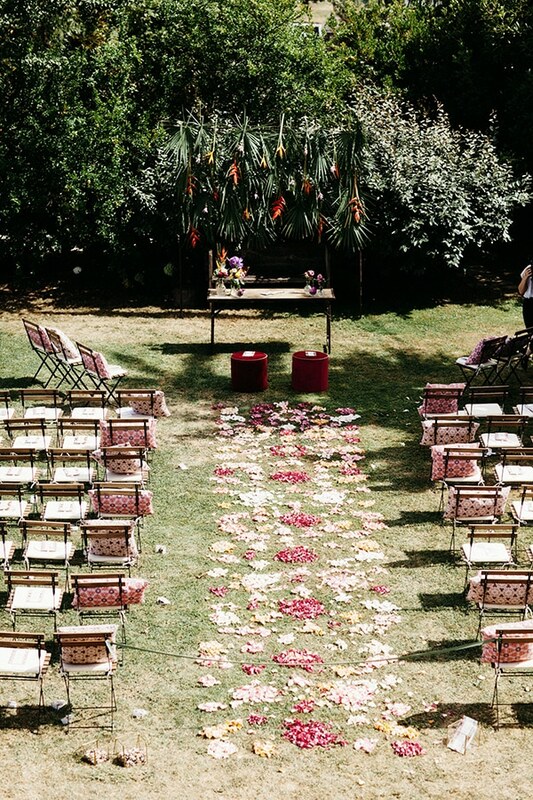 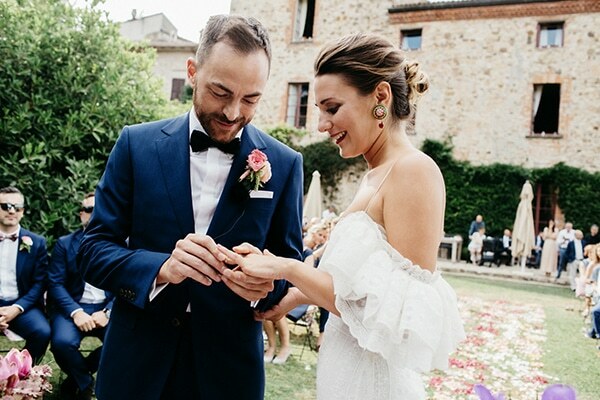 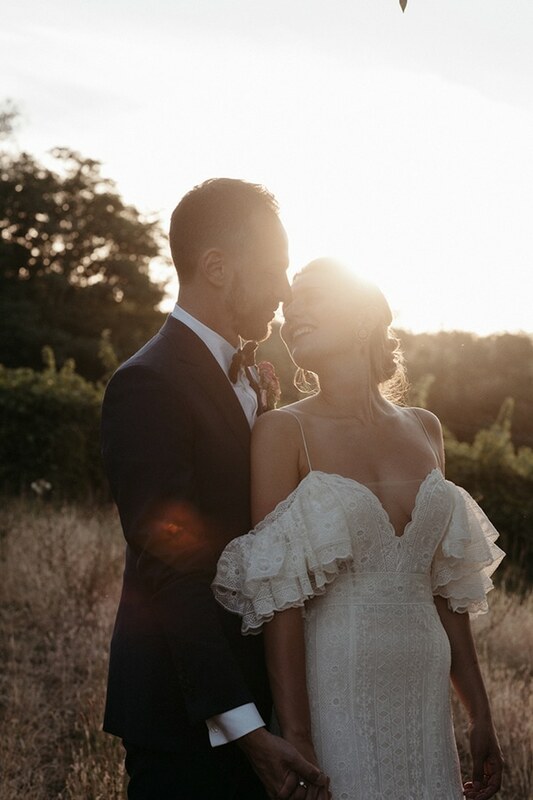 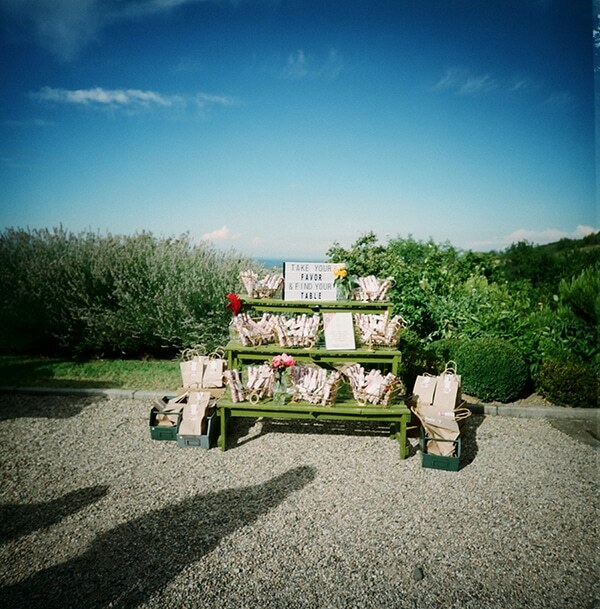 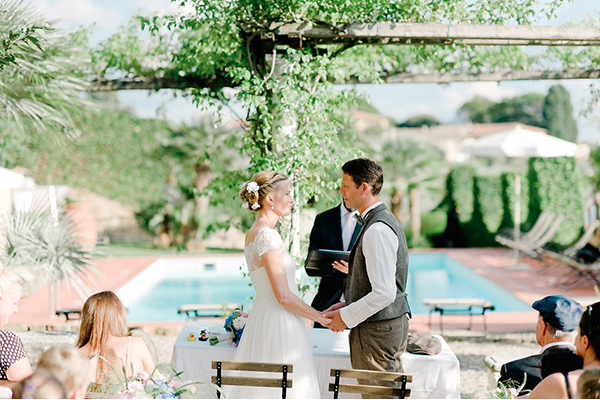 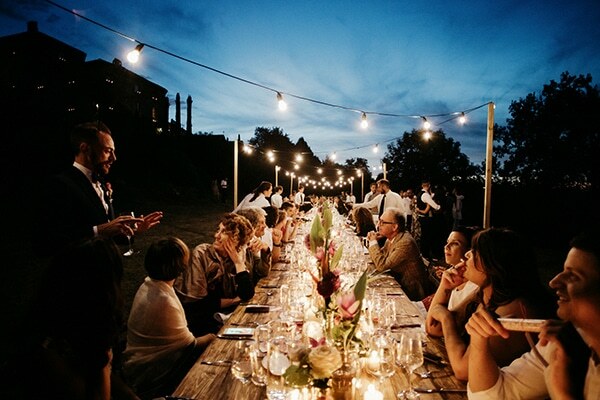 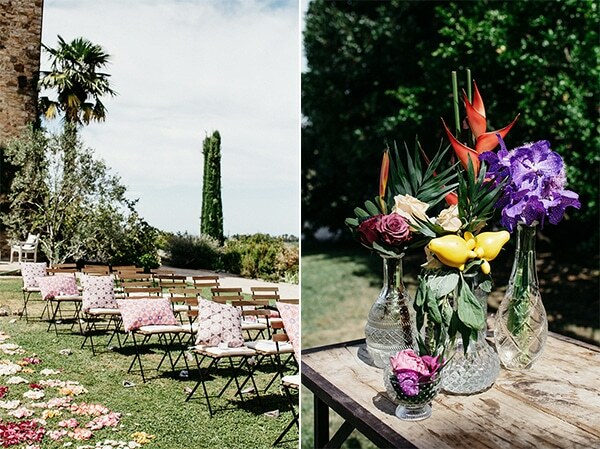 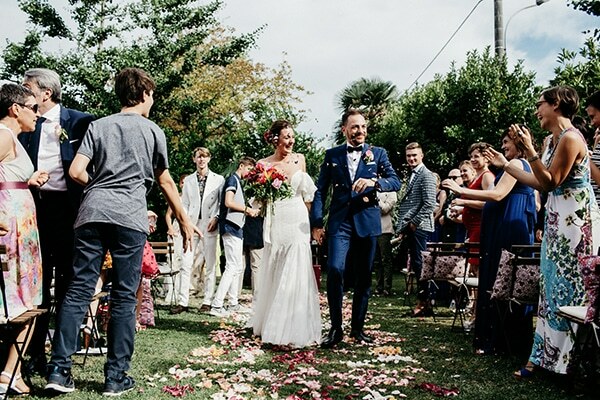 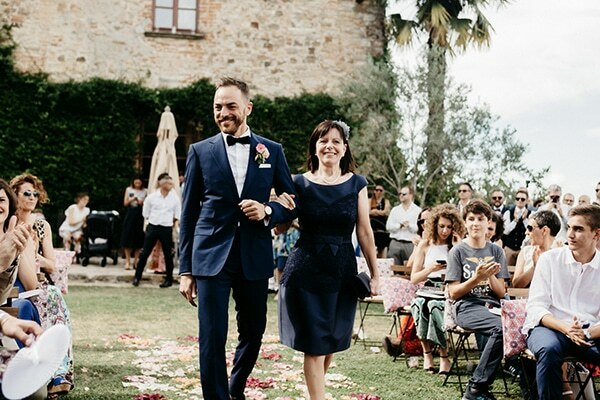 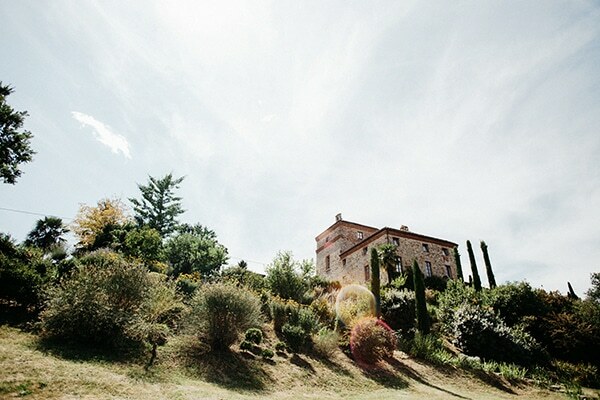 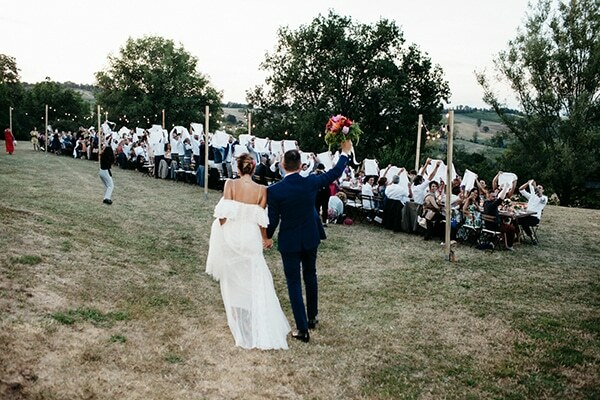 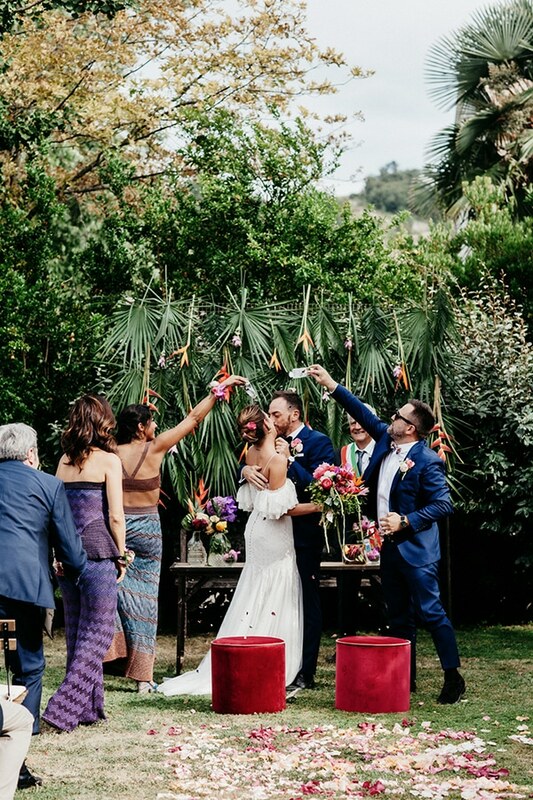 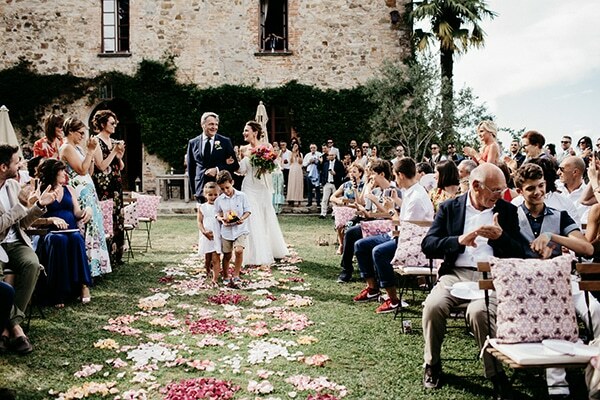 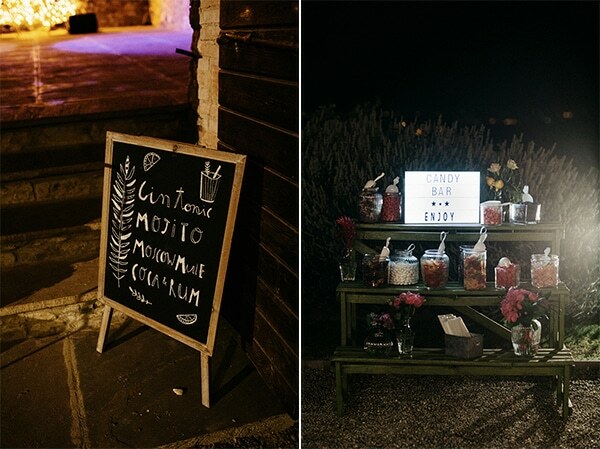 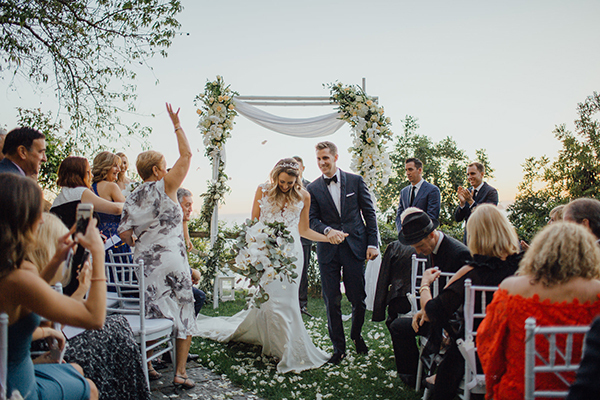 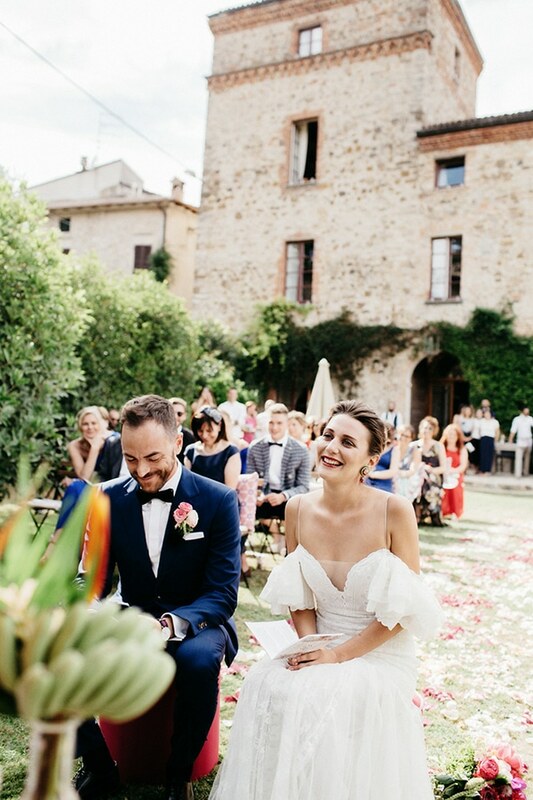 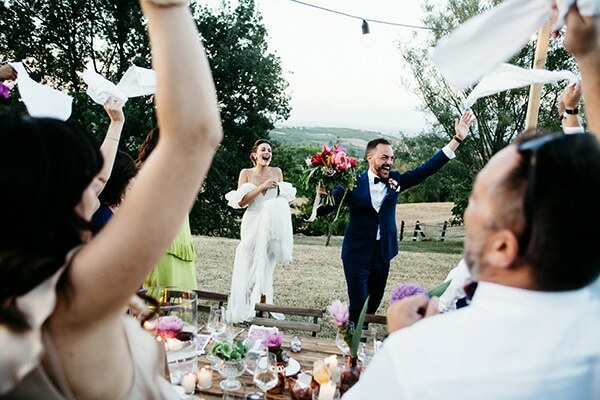 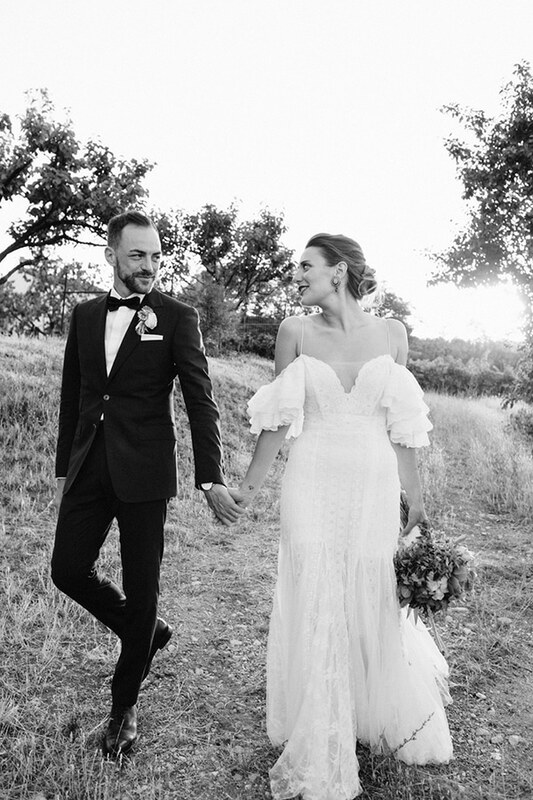 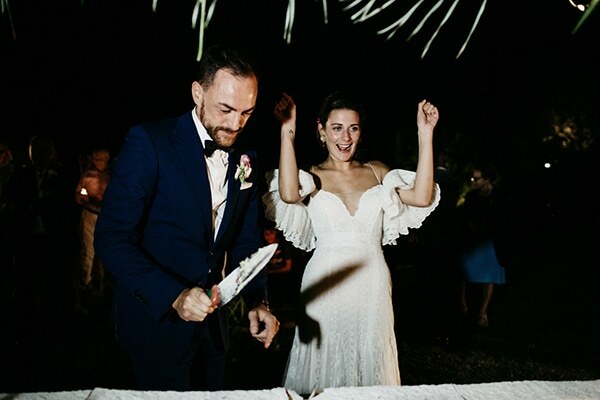 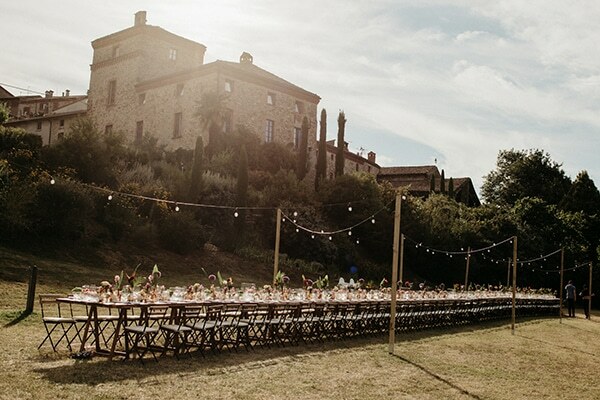 The colorful wedding we are featuring today took place outdoors in an idyllic location, in the Castello di Tassara of Italy. 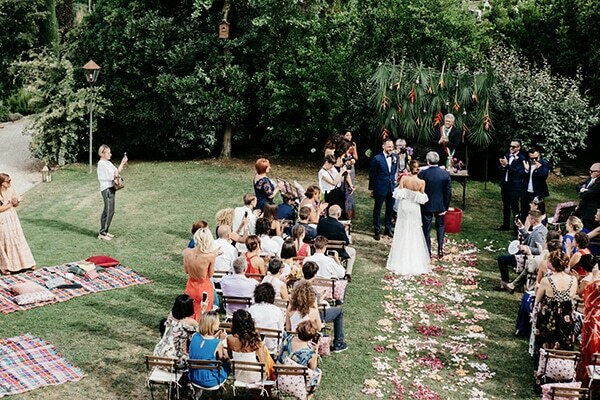 The lovely couple exchanged vows of eternal love with a backdrop of a romantic green scenery… The decoration was impressive and colorful with rustic details! 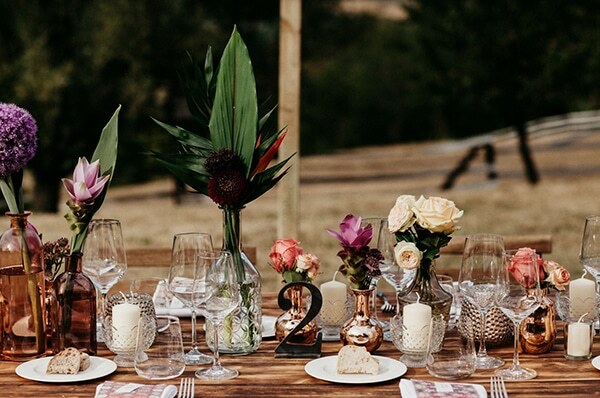 We really loved the stylish and elegant table decoration with a mixture of fresh flower arrangements in glass and gold vases! 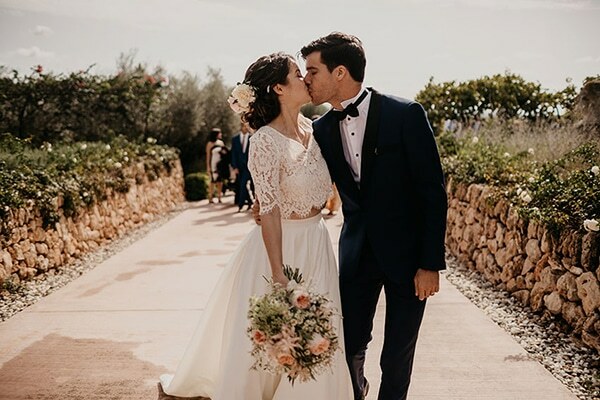 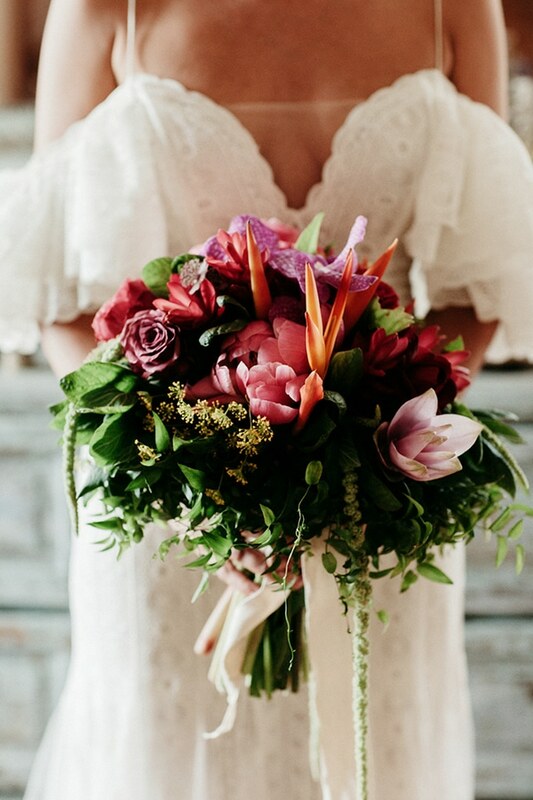 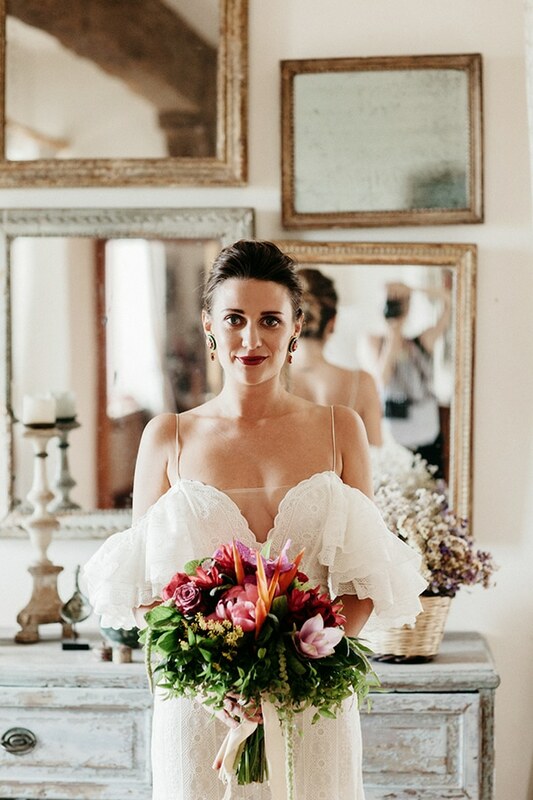 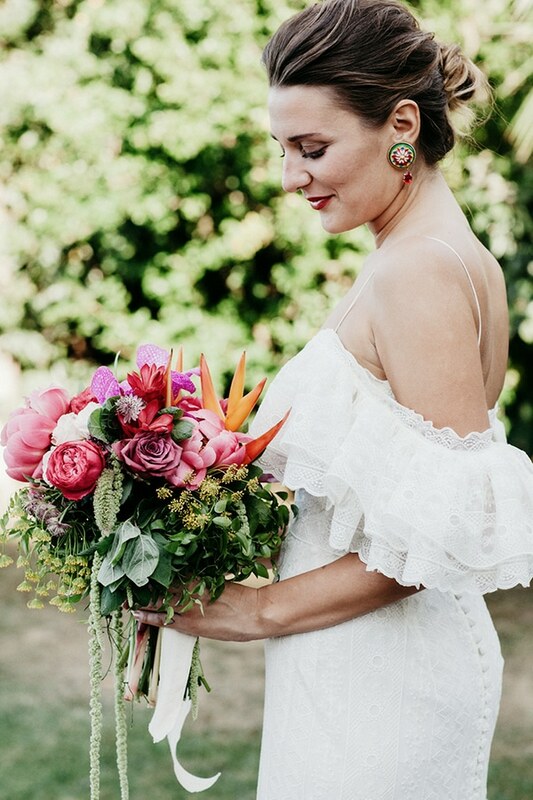 The bride looked absolutely STUNNING in her Costarellos wedding dress with luxurious lace details, holding her wedding bouquet with vivid pink, orange, red and somon colors. 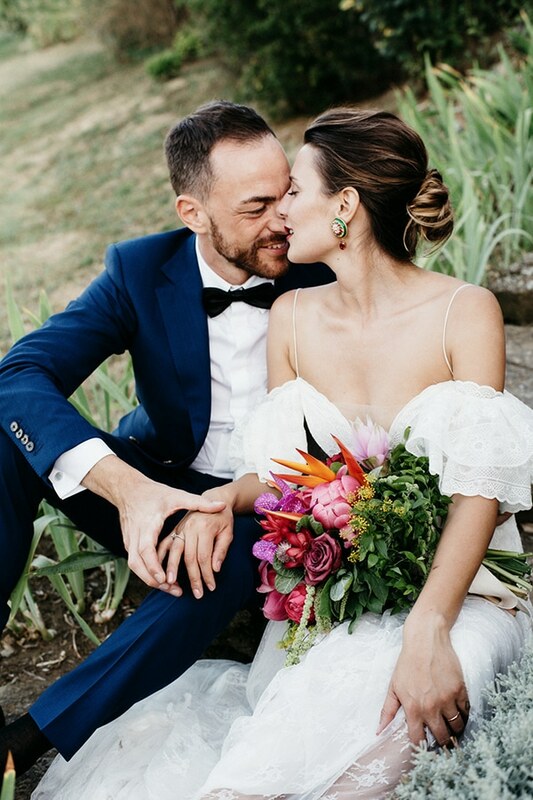 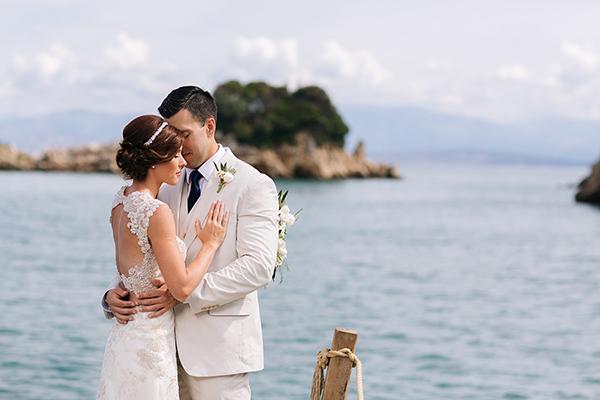 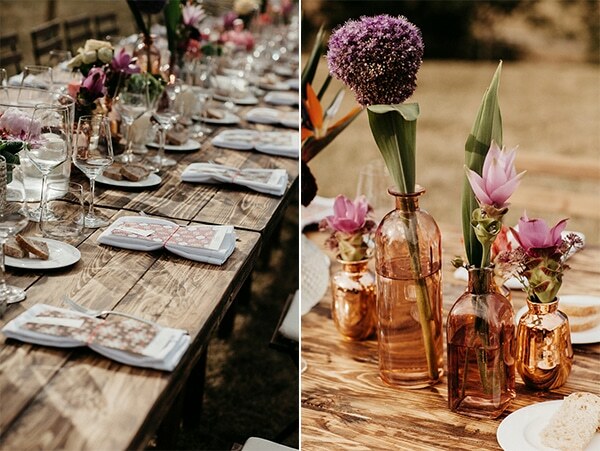 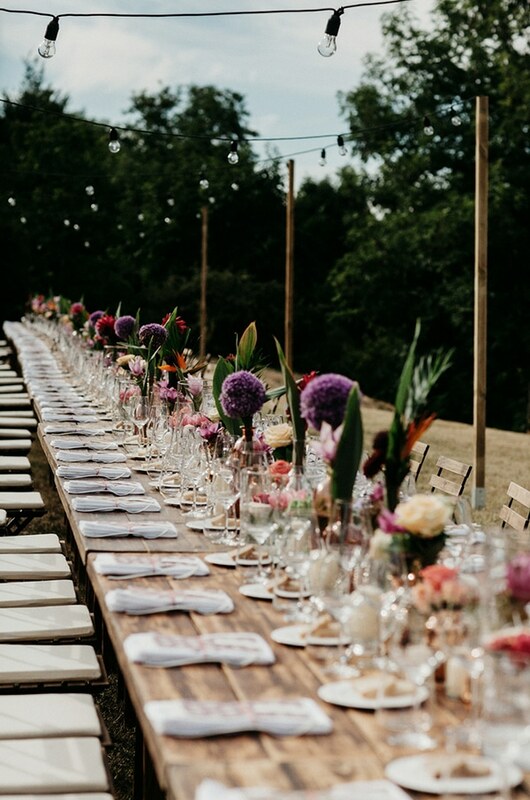 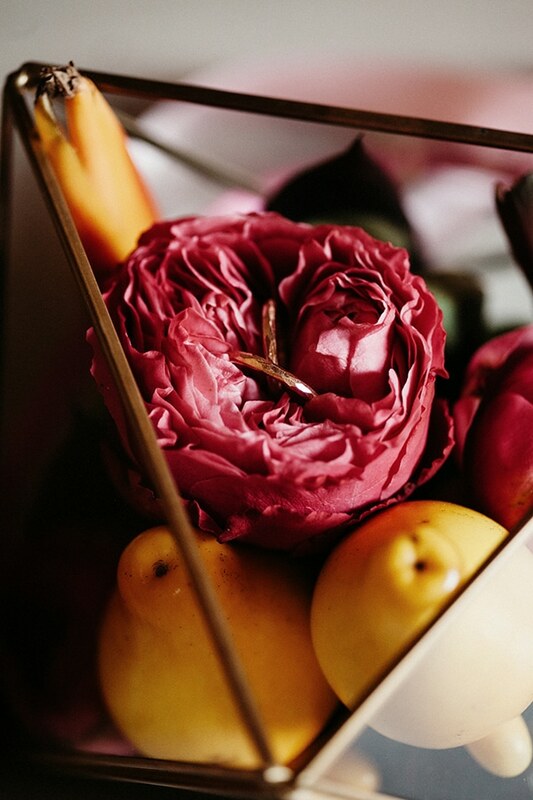 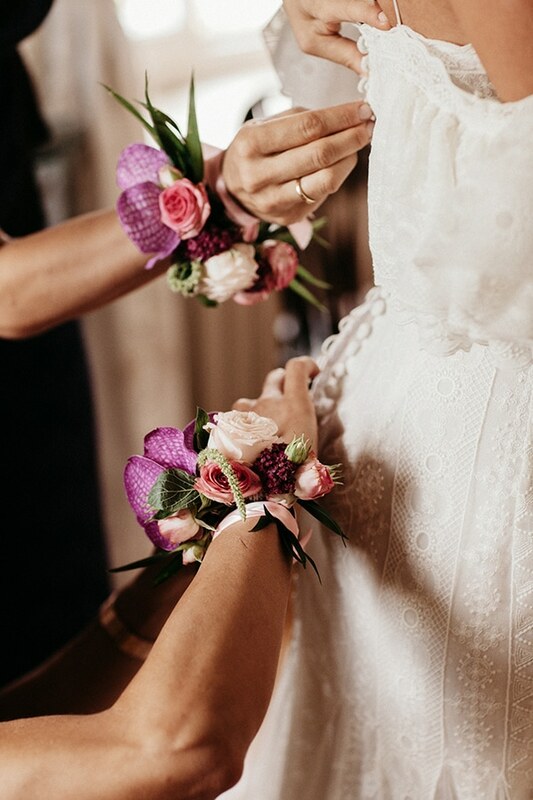 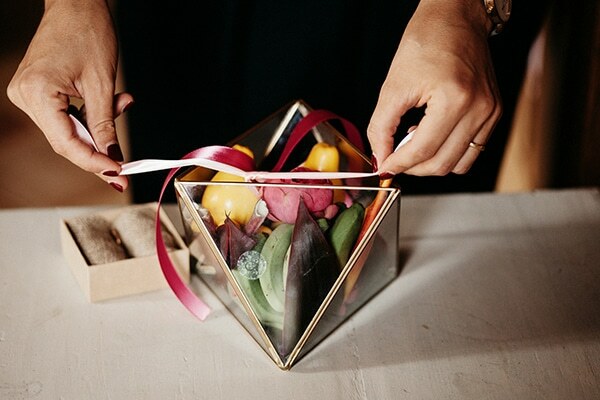 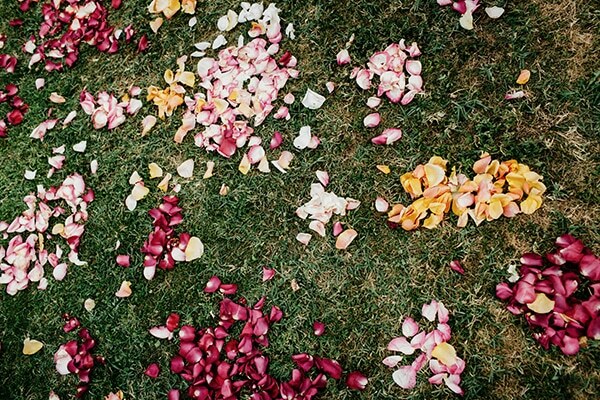 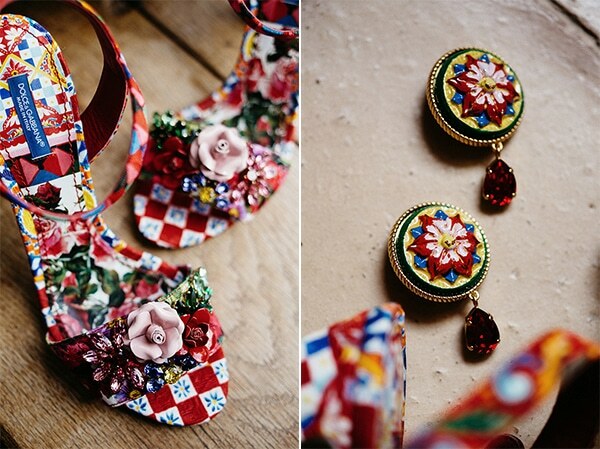 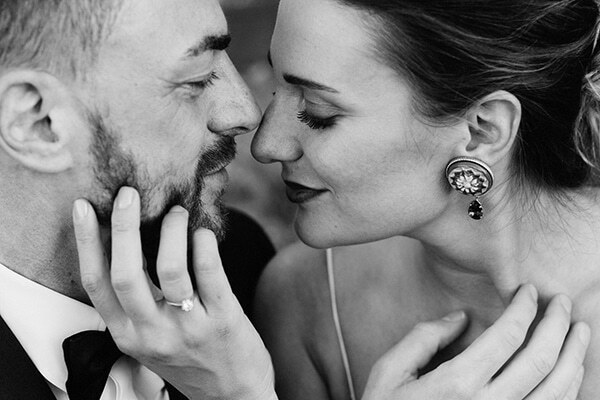 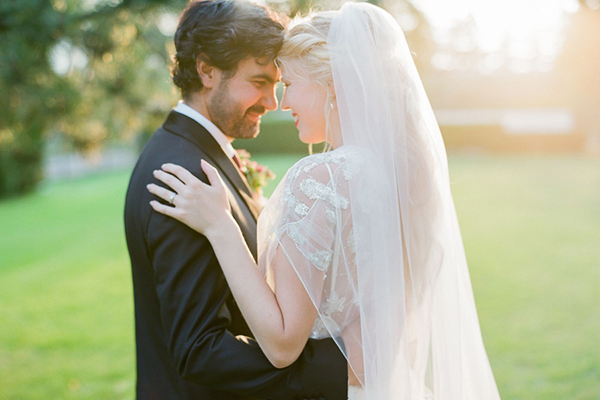 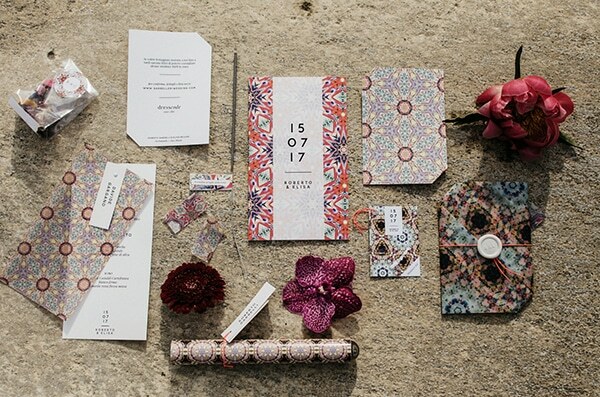 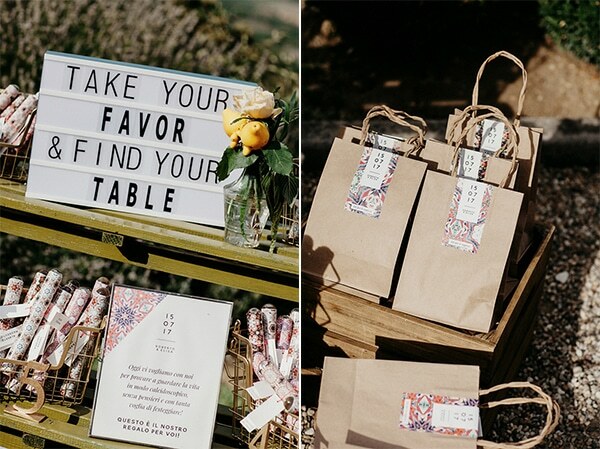 Enjoy all the details of this colorful wedding in the following photos!